The Isle of Wight, England's largest island, is located in the English Channel. You can take a fast hovercraft from Southsea, in Portsmouth to the Isle of Wight. Major towns on the Isle of Wight include Newport, Ryde, Cowes, Shanklin and Ventnor. The Isle of Wight is a popular destination for tourists who are interested in natural heritage. The Travellers Guide has a selection of comfortable hotels, guest houses and bed & breakfast accommodation on the Isle of Wight, listed below. Please view our hotel offers page for the latest "early booking", "spa break" and "free night" special offers for a range of hotels on the Isle of Wight. 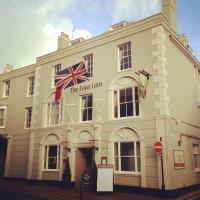 The Fountain Inn overlooks the River Medina and has harbour views from its al fresco dining area. It offers free Wi-Fi, a good breakfast and live music on most Friday and Saturday nights. Centrally located in Ryde on the Isle of Wight, Dorset Hotel is opposite six miles of sandy beaches. It boasts free parking and a cosy lounge. The Marlborough Hotel is located just a few minutes' walk from the beach, Shanklin Old Village and the main shopping area. Bedrooms are stylish decorated, all offering modern amenities and en suite facilities. The Hartland Hotel offers rooms with free Wi-Fi, and an in-house health club featuring a gym and a sauna. The beach is just a short walk away. All of the elegant en suite bedrooms have TVs, toiletries and towels. On Ryde seafront, grand Victorian building overlooks Ryde Esplanade and Marina. It has free parking and an excellent breakfast is served every morning. 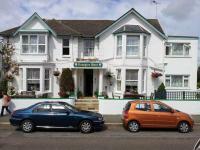 This 4-star hotel offers luxurious accommodation overlooking Ventnor Bay on the Isle of Wight. It serves award-winning food in its conservatory eating area, and an outdoor swimming pool. Overlooking the sea between Bembridge and Seaview, Priory Bay Hotel offers a secluded private beach, free Wi-Fi, fine cuisine, an outdoor pool and nicely decorated rooms. Ferry crossing to the Isle of Wight can be arranged in advance at the hotel. In the heart of Newport, this Grade II listed building is set in a quiet street, just off the High Street. It offers bed and breakfast accommodation within 2 minutes' walk of bars and restaurants. Free Wi-Fi is available throughout the hotel.